Bayer Aspirin is one of the most commonly used over-the-counter medications for pain relief and fever reduction. In addition, the American Heart Association (AHA) recommends aspirin use for people who have had a myocardial infarction (heart attack), unstable angina (recurrent chest pain), ischemic stroke (blood clot in brain) or transient ischemic attacks (strokes that resolve). 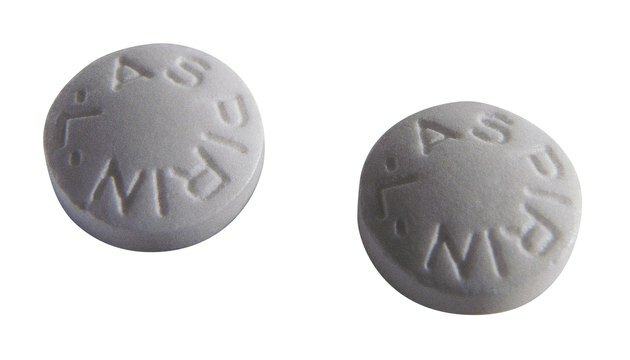 The AHA further states that using aspirin can help prevent heart attacks and strokes. While Bayer Aspirin has many proven benefits, you should be aware of all of its ingredients. Wonderdrug.com (Bayer Aspirin's website) states that aspirin (acetylsalicylic acid) is the main ingredient in this medication. According to drugs.com, this ingredient works by inhibiting chemical signals in order to reduce pain, fever and swelling and to prevent formation of blood clots. Possible side effects with aspirin use include dizziness, ringing in the ears, nausea, heartburn and excessive bleeding. Be sure to inform your doctor of these symptoms, as they may be a sign of overdose. Most medications contain inactive ingredients to aid in ease of use. According to thefreedictionary.com, an inactive ingredient is "a substance regarded by the FDA as having no effect on a drug's absorption or metabolism, which is added for manufacturer expediency." Wonderdrug.com says Bayer Aspirin also contains carnauba wax, cornstarch, hypromellose, powdered cellulose and triacetin. If you are allergic to any of these ingredients, consult with your doctor before taking this medication. You must always be aware of potential interactions between Bayer Aspirin and other drugs you may be taking. According to drugs.com, antacids, urinary alkalinizers, corticosteroids, anticoagulants, carbonic anhydrase inhibitors, methotrexate, valproic acid, probenecid, sulfinpyrazone, sulfonylureas and insulin interact with aspirin. While this list is quite extensive, it is best to consult with your doctor before taking aspirin.